Are you looking for something fun to do this summer? Whether it’s a Fourth of July party or enjoying some music and brews outdoors, Cumberland has plenty of exciting options to liven up your summer. 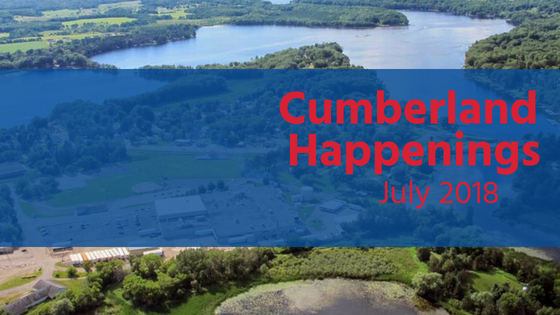 Check out all the fun Cumberland July happenings and events from the team at RE/MAX Northstar. Celebrate Independence Day with the Cumberland Fire District’s Fireman’s Pancake Breakfast. Featuring an excellent pancake meal with breakfast meats from Louie’s Finer Meats and Sausages, tours of the fire hall and much more, this event is fun for the whole family. The breakfast starts at 7 a.m. and runs until 11 a.m. All proceeds benefit the Cumberland Fire District Inc.
Find out more about this event at https://www.facebook.com/pg/cumberlandfiredist/posts/. On July 3 and 4, the Cumberland Chamber of Commerce will be hosting an Independence Day celebration during the day with live music and other exciting events for adults and kids alike. Then, as the sun goes down, grab your blankets or chairs and enjoy a stunning display of fireworks. Festivities for the Cumberland July happening start at 12 p.m. and conclude after the fireworks show. Find out more about this event at https://www.facebook.com/cumberlandchamberofcommerce/. Parents and staff of the Island City Academy charter school will also be available to take kayaks out on the lake during the concerts. Find out more about this event at https://www.facebook.com/events/1121580801279104/. All summer long, every Thursday night is Music on the Deck at Bistro 63. Enjoy some New American cuisine and a variety of fine wines while listening to live, local music on the outdoor deck. There’s no better way to soak up the summer. Find out more about the upcoming performances at http://www.bistro-63.com/. If you’re expecting or have recently given birth, Cumberland Healthcare offers classes that cover every aspect of childbirth and infant care. Whether you’re a new parent or you’re adding to your family, these classes are a must. Early pregnancy prenatal health classes, breastfeeding classes and sibling classes are available on July 10 and 17. On Tuesdays from 6 to 8 p.m., childbirth education is offered as well, which reviews what to expect when labor begins and throughout the hospital stay. For more information or to register for classes, please call 715-822-7250. If you are unable to attend the scheduled classes, other arrangements can also be made.